Pamplin Media Group - Student to 'adults' - Please do something! Student to 'adults' - Please do something! Tualatin student: All sides need to come together to end epidemic of gun violence in schools. I am a 17-year-old junior at Tualatin High School, and just like everyone else, I have good days and I have bad days. The typical stresses that I experience each day can at times be overwhelming. Whether it be friendships, social media, school, work or scheduled activities, I have plenty to worry about. On top of my everyday stressors, the worry, fear and sadness I feel weekly as these school shootings happen leaves me feeling so discouraged. The Parkland and Santa Fe shootings have really hit home with me. They were high school students, just like me. They had interests, friends, goals and dreams, just like me. They were kind, funny, hardworking, athletic and caring, just like my friends. Their lives were cut short because of what? A gunman who should never have had a gun, and a society that keeps making it a normal for us to be shot to death in our own schools. That may sound cruel, but it is the truth. This has become painfully normal. I don't understand these senseless shootings; how do they keep happening? How? How do these poor families survive losing a loved one? It makes me so mad. Doesn't anyone care? Who are the adults? Where is the change? When I am going to feel safe again in my own school? When are they going to stop? Please make them stop! We have parents, the school district, police, our communities, state legislators, Congress and our president: What are they doing to make sure these horrible shootings stop happening? My answer is: It feels like nothing because they just keep happening. I know people are horrified, but not horrified enough to come together and try to make change for all of us. To put aside their wants and needs to make students safe again. We need change, we need people to talk again and find solutions. We need our government to truly represent the people. They were elected to protect us, that is their job, yet they have done nothing! I feel hopeless, I feel sad and I am angry. Something must change, because we all know that doing nothing is not working. Our youths are leading the way, and I will continue to be a part of that. I am proud of our youth movement. I want to believe change is coming. I don't like seeing other students struggle, and I personally try to be kind to them, but I cannot stop them from getting a gun and doing horrible things. They are sick and they need help. Sick people should not have access to guns, and we must prevent them from harming themselves and others. I will be 18 in a year, and I will be voting to make sure people are elected who hear me and want to make gun violence in this country a priority. Because the gun violence in this country is not normal, the gun policies are not working, the mental health system is not working, and our Congress is not working. It is time for all of us to speak up for change, in memory of those that are lost, and for the sake of those that are still here, please do something! 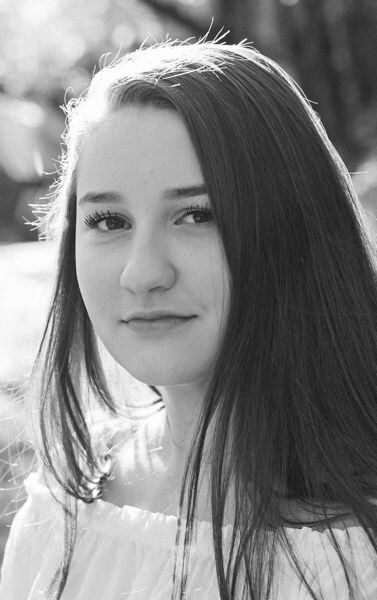 Emma Chamseddine is a junior at Tualatin High School. What's at the Winter Market?